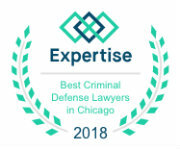 In Cook County, Dupage County, Lake County and Kane County, the attorneys at John W. Callahan, Ltd., put decades of experience to work, helping clients throughout Schaumburg, Naperville, Chicago, and all of the surrounding counties to fight your criminal charges. We use diverse and complimentary skills to achieve the best possible results. Following are some of the reviews our clients have posted online about our services. Thank you for taking the time to explain each step in the process of our recent violation. 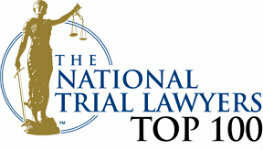 I would highly recommend your firm, to others. I was referred to John by a friend who had used him before and was totally satisfied with his services. From the start, he handled my case like a true professional, swiftly and the outcome he was able to achieve, well surpassed my expectations. August 1, 2015Trustworthy, confident: very good info from lawyers, felt good and confident using them, very understanding. Just wanted to extend warm thanks for the great job you did as my lawyer. I hope I do not ever require your services again, but in the (hopefully) unlikely chance that I do, I will rest assured that I will be in good hands. Thanks again and I hope I do not need you in the future. Thank you so much for all of the help you have given B. with his case. We appreciate it very much. Hopefully he learned from this experience. Again, thank you and I hope I do not need you in the future. Ha-ha! Thanks for all of your help this past year with R.’s case. I do not know how we would have made it without your guidance and concern. Thank you for always being there when we needed you. I hope you will accept this small token of my appreciation for all of your time, hard work and talent concerning J.’s case. I was truly amazed. I have never experienced anything quite like that and I hope I will never again personally. It is a great relief to have that behind us. I will never be able to express to you the gratitude that I feel for what you did for me, R., and my children. You saved us from the unthinkable, you touched me with your empathy and kindness and I pray that R. will make us all proud. I was completely lost and you saved us. It could not have turned out any better. Your courage and hope got me through many times when my faith was faltering. Our whole family is forever going to thank you and remember the gift you have given us this holiday season, not only his freedom, but the ability to finally be able to sleep again at night and have such a weight lifted from our shoulders that we can finally once again look forward to the future.